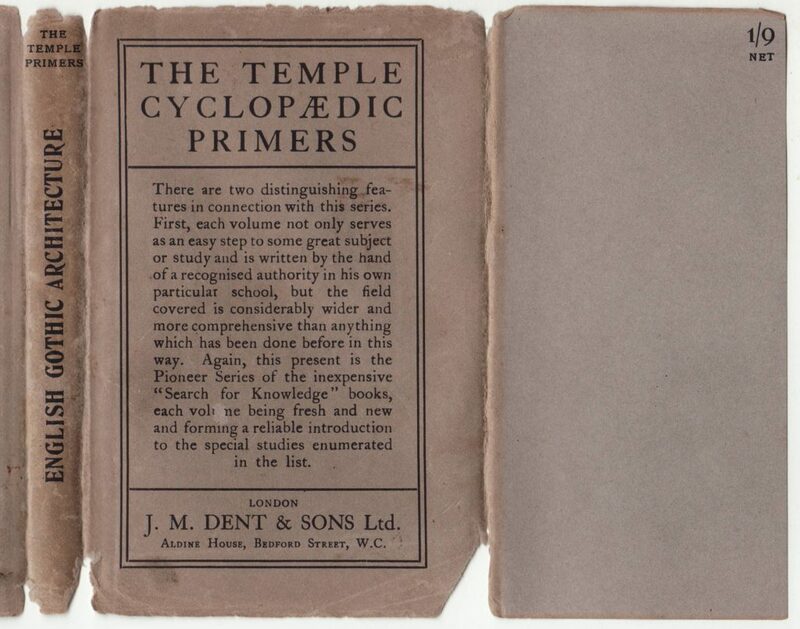 The Temple Cyclopædic Primers series was first published in 1900 by Dent in London and available from Macmillan in the US (for .40 cents). Macmillan advertises the series until 1913, and Dent continued to sell the series until the late 1930s. 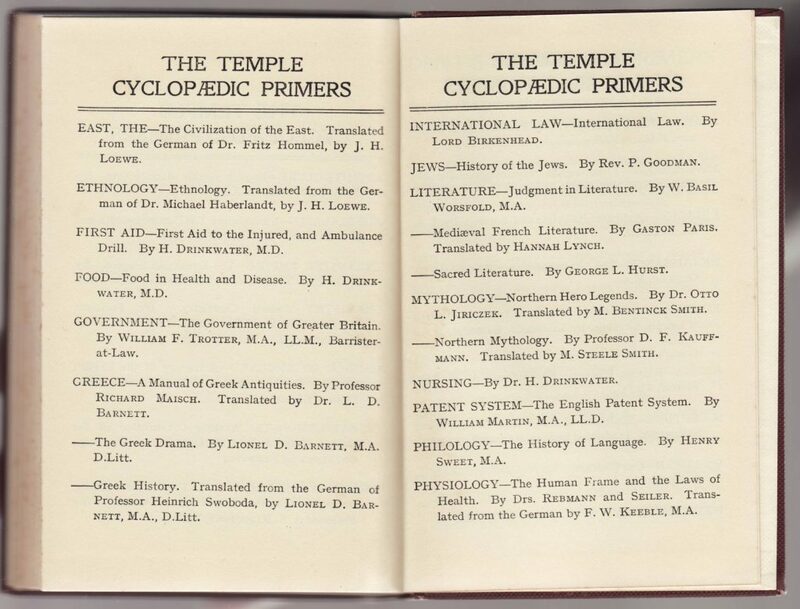 The early 1900s saw a growing interest in brief, educational, inexpensive series such as this one; more or less extended encyclopedia entries. Another example of this kind of series, originally from Germany, translated and published in the US is Albert and Charles Boni’s Cosmos Library. 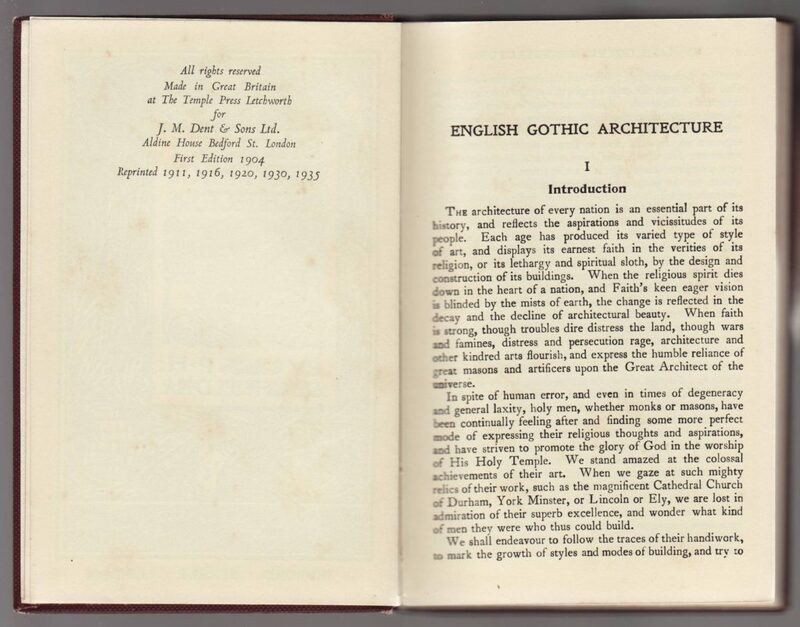 This copy of English Gothic Architecture by P.H. Ditchfield is the 6th printing in 1935, very near the end of the series availability. 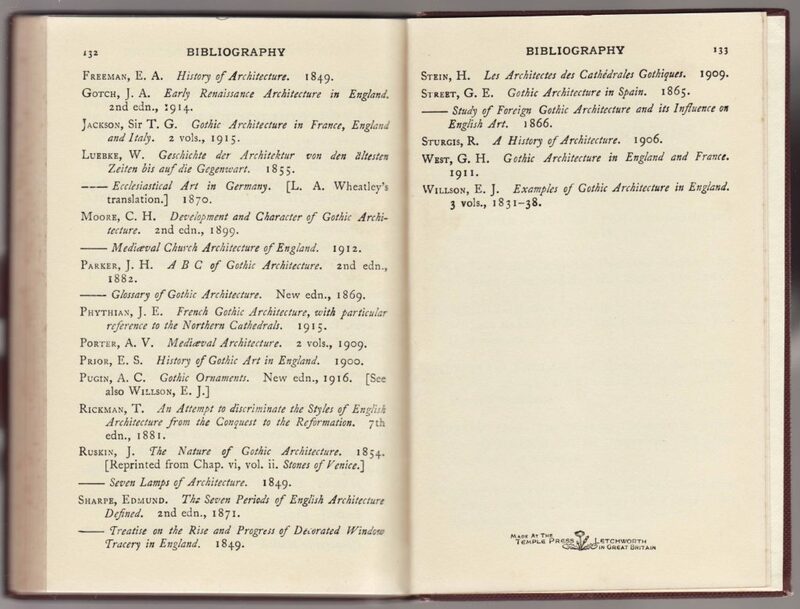 These small books have jackets common to the series and, like a reasonable number of other late 19th and early 20th century jackets, don’t include any indication of the book title on the front of the jacket. 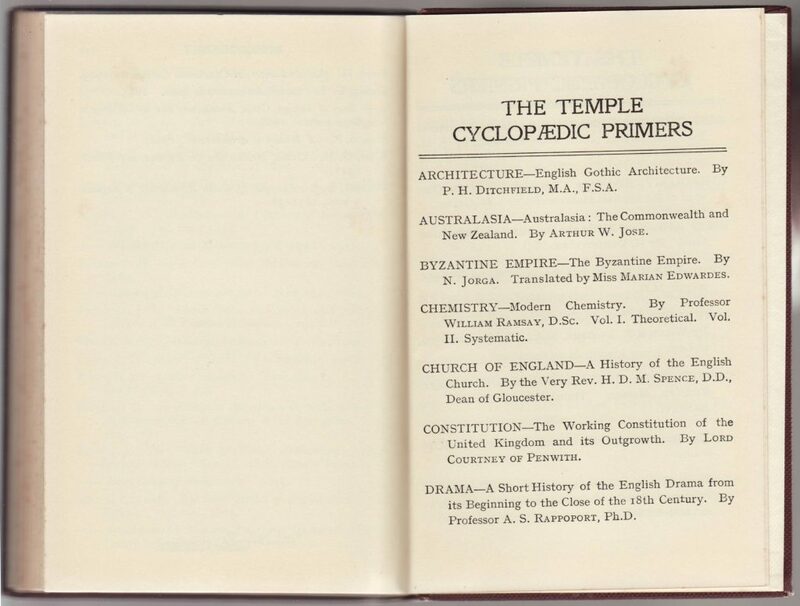 Instead, the series name (The Temple Cyclopædic Primers, in this case) features prominently, as does a prospectus for the series and the publisher’s imprint. 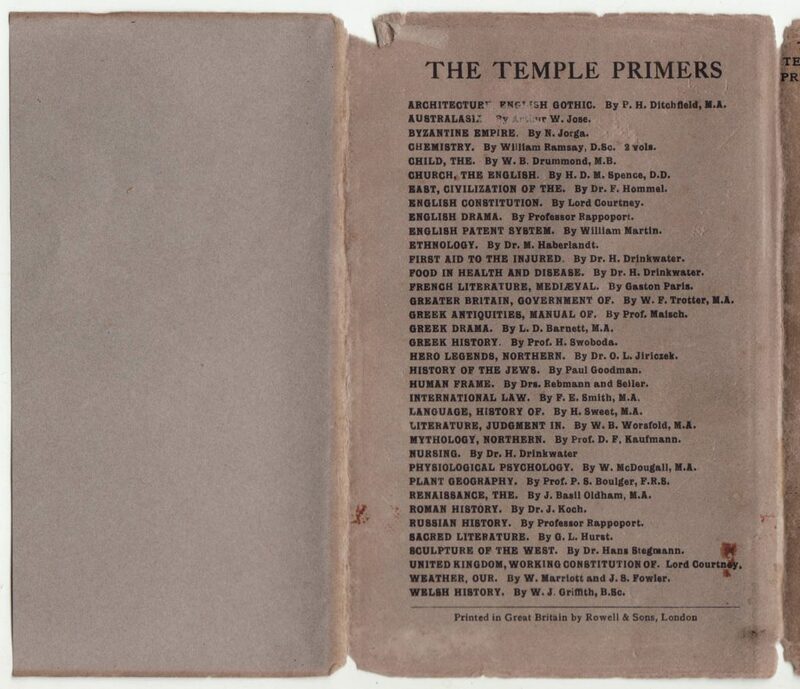 The series name (The Temple Primers) along with the book title (but not author) are included on the jacket spine. The front jacket flap is blank except for the price (1/9 net). The rear of the jacket contains a list of 36 titles in the series. Given the late date of this title, this is probably a complete list. The printer of the jacket is indicated Rowell & Sons, London. The book itself was made at Dent’s Temple Press. 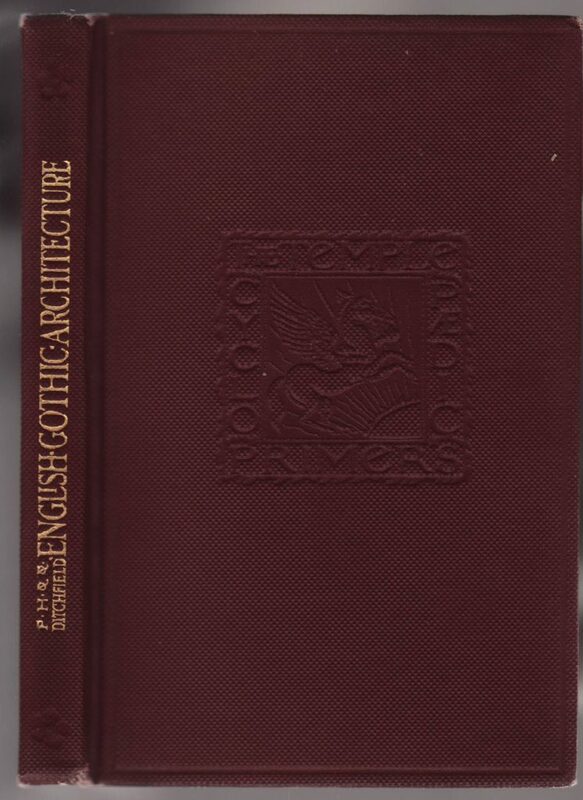 Solid maroon cloth bindings have the title in gold on the spine and a debossed colophon for the series on the book front. 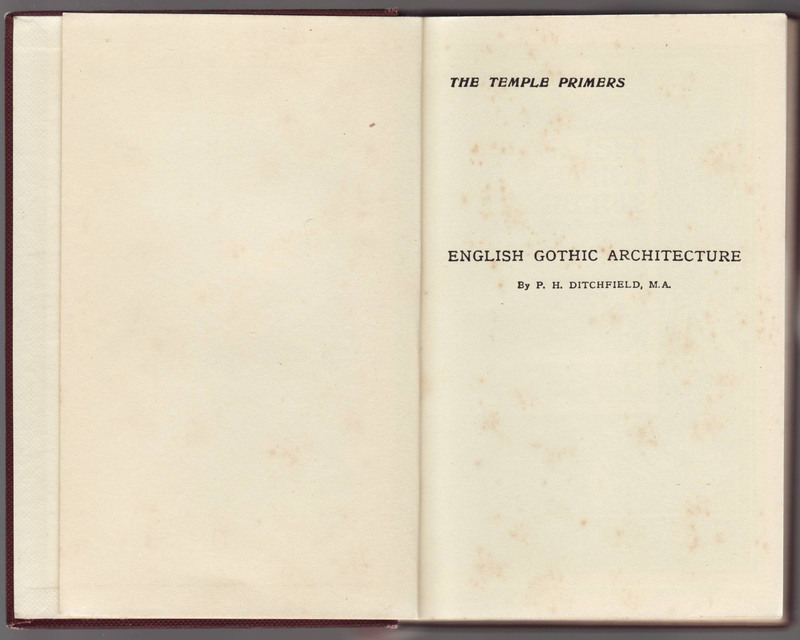 The half title page includes the series name and the title and author of the book. 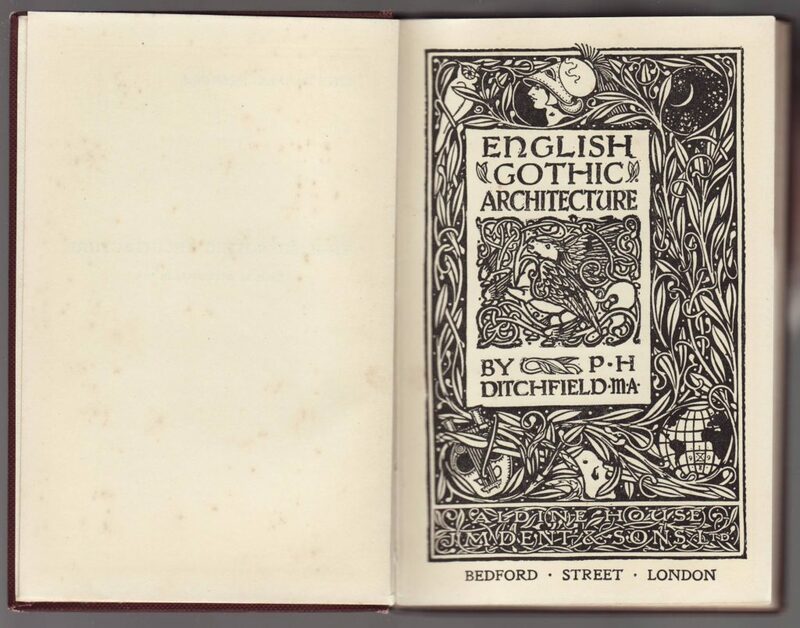 The title page is an arts and crafts wonder, similar to the title page designs of other Dent publications in the late 19th and early 20th century. 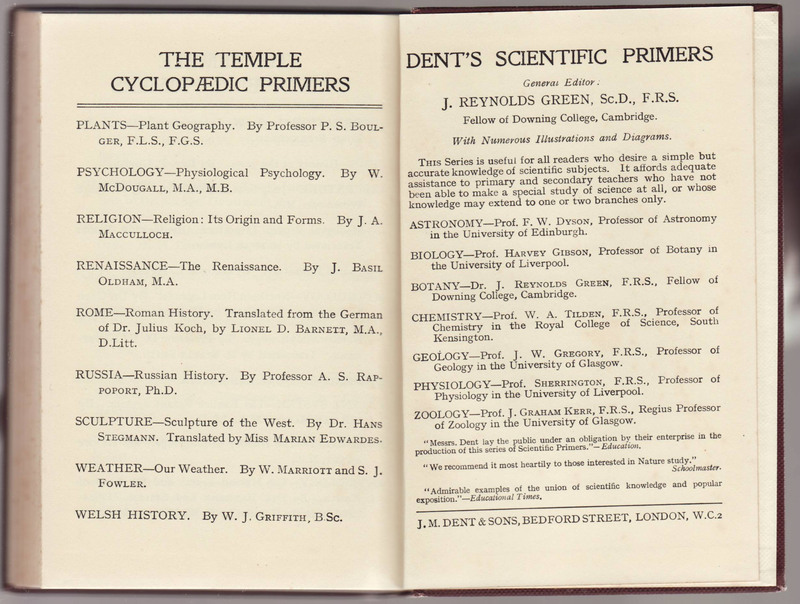 As with other Dent publications, a detailed list of original and subsequent printings are included on the copyright page. The Temple Press printer imprint is included at the end of the books’ bibliography. 35 of the 36 titles listed on the rear of the jacket are listed in a catalog for the series in the back of the book. Dent’s Scientific Primers series, edited by J. Reynolds Green, are also listed.